The fantasy world of Rainbow Kingdom awaits! 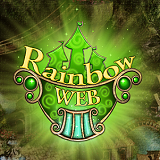 Rainbow Web 3 was available as a giveaway on March 5, 2016! Elaborate graphics and pleasant background music. How would you improve Rainbow Web 3 ? 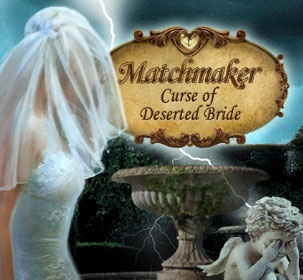 The return of a famous matchmaker! Helen Jones settles in a town veiled in mystery, and takes on its intrigues. 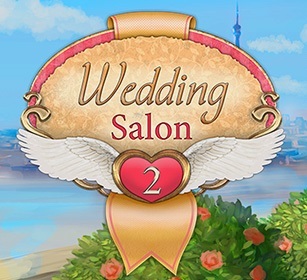 Your task is to puzzle out a sinister curse and help the townspeople find love again! Didn't think there was a giveaway this morning. Checked at the usual time and waited for about 10 minutes. The team must have posted it late. I'm usually informed at least a day before if there is to be a giveaway, but there was no notification from the giveaway team for this weekend. Very unusual. Only just found out 7 hours into the giveaway that there was one. Too late for me to write up a review as I need a minimum of four hours to play the game and write up a report. , Hopefully will know what tomorrows is before the end of today so that I can [post tomorrows. We have guests all weekend, so my moderation will be sporadic. I believe that is what's still called communication. <b>Whiterabbit-uk</b> I believe that is what's still called communication. What kind of moderating, White Rabbit? My post seems to have gone through immediately. I also thought there wasn't going to be a giveaway myself, I waited about 20 minutes after midnight my time, and just before I went to bed, I checked and there still wasn't a game, only the giveaway for the computer program. Keep up the great work White Rabbit! While I don't care for this format, I've learned to adapt. I do wish they would go back to the old format, but, it doesn't look like the powers that be will, despite the fact that there has been a lot of complaints about the new format. <b>Whiterabbit-uk</b> What kind of moderating, White Rabbit? My post seems to have gone through immediately. I also thought there wasn't going to be a giveaway myself, I waited about 20 minutes after midnight my time, and just before I went to bed, I checked and there still wasn't a game, only the giveaway for the computer program. Keep up the great work White Rabbit! While I don't care for this format, I've learned to adapt. I do wish they would go back to the old format, but, it doesn't look like the powers that be will, despite the fact that there has been a lot of complaints about the new format. I can't install today's game because I get the message that the giveaway period is over. What do I need to do to correct this problem? Hi Robert, the giveaway period for each game only lasts for 24 hours.You have to download and install the game on the day of the giveaway. if you download it but leave it to install at a later date it will no longer work. Rainbon Web was given away several weeks ago and is no longer available here. Check my review as I think I posted a link to a free version of the game, which can be downloaded elsewhere. Thank you for your feedback Cheryl, appreciated..
Nice challenging game played on Win 7 64-bit. But there is a bug in the tavern on the left side. When clicking on the play button, every time the game closes itself. All other levels/locations could be completed without any problem. Was not able to finish the game successfully. So deinstalled it. Thank you for your feedback Marie. Thanks for another good game! HI, It downloaded quickly. A little slow on the opening. The spider layout is a little different than the norm. I could not play much tonight, but each round is the same trying to put the items back in the room. Not sure if anything changes later on in the game. It will take some time to go through the rounds to gain the dust and fill the room. Just doing that so Thanks for another good game! Most Interesting! This geometric matching was very refreshing! And the other touches, like fit the pieces type puzzle made more challenging by causing the pieces to change geometric shape when you swap them. Lots of clever design ideas here. Makes me want to purchase Rainbow Web 1 & 2. Well done, Sugar Games. You put some refreshing spins on the old match 3 game type. And thank you GGOTD. I'm very glad I checked in again today, 'cause the late post caught me by surprise: I'm glad I didn't miss this one! Very good twists on the match 3 presentation with the spider webs, lovely graphics, and interesting story line; good twists on the 'intermission' puzzles, too with the re-shaping puzzle pieces. There are hints (which can be switched off), automatic re-shuffle if you run out of moves, and the 'intermission' puzzles can be skipped, so this can be easy. I'm only in the second building so far, but I think I'm going to play this through, and I'm not a big match 3 fan. Thanks, Sugar Games; and Whiterabbit, of course. I'm very glad I checked in again today, 'cause the late post caught me by surprise: I'm glad I didn't miss this one! Very good twists on the match 3 presentation with the spider webs, lovely graphics, and interesting story line; good twists on the 'intermission' puzzles, too with the re-shaping puzzle pieces. There are hints (which can be switched off), automatic re-shuffle if you run out of moves, and the 'intermission' puzzles can be skipped, so this can be easy. I'm only in the second building so far, but I think I'm going to play this through, and I'm not a big match 3 fan. Thanks, Sugar Games; and Whiterabbit, of course. The last 3 times I have downloaded a game from this site, the games have never installed. The software wrapper program has ran and the GOTD memo page has popped up informing me that the program was activated, but the game never actually installed. not sure what the problem has been. black borders but heck it's ok even with them unless tiny screen. Installed to D: drive & it made a shortcut to desk. Thanks for nice one GOTD. Plays well Windows 10 x64 Pro. 2 tips. For total screen view on large monitor. Unchecked Wide. Should flash screen. Check Full and should go black then return with edge to edge. Didn't need to reboot game to take effect of the changes. Doing this was on a second run of game since couldn't get change to take the first go. Thus no black borders but heck it's ok even with them unless tiny screen. Installed to D: drive & it made a shortcut to desk. Thanks for nice one GOTD. Same problem here. It has been a month since I successfully downloaded and installed any of the games. Most times the "Connecting to Game Giveaway" box appears while it is checking the validity of the date, then it just closes without an installation window. Tonight, I did get the "Successfully Activated" window, but still no installation and no game! Fast download. Blink and you'll miss it. Fast install. Installs desktop shortcut. Opens quick. Graphics are OK.
As for the game itself. It seems geared more to the younger set, like 8-16 young. It is a variation on match 3 without timers so there is no way to lose a level. A puzzle game showed up that was an unscramble the picture puzzle. It locked pieces in place when placed in the final location. Very simple. I might make it to the end, but I might just delete it, too. Fast download. Blink and you'll miss it. Fast install. Installs desktop shortcut. Opens quick. Graphics are OK. As for the game itself. It seems geared more to the younger set, like 8-16 young. It is a variation on match 3 without timers so there is no way to lose a level. A puzzle game showed up that was an unscramble the picture puzzle. It locked pieces in place when placed in the final location. Very simple. I might make it to the end, but I might just delete it, too. Thank You GOTD! I was not asked for email or to connect to social media for the download, is this a new policy ? Game is fun, a challenge as others have posted and different on the match 3 genre. Two things I would suggest to the developer; the constant bright glow of the objects every few seconds was kind of an eye sore for me and the hints need to be set a little longer. Overall I like the game except for thous two points. No issues running on win10 64x pro on quad 2.2 ghz cpu / 8gig ddr2 ram. I was not asked for email or to connect to social media for the download, is this a new policy ? Game is fun, a challenge as others have posted and different on the match 3 genre. Two things I would suggest to the developer; the constant bright glow of the objects every few seconds was kind of an eye sore for me and the hints need to be set a little longer. Overall I like the game except for thous two points. No issues running on win10 64x pro on quad 2.2 ghz cpu / 8gig ddr2 ram. Exit game from menu didn't work. What a great game! Thanks Sugar Games and GGOTD for Rainbow Web III. It has lifted my spirits today. I absolutely love the graphics! Installed fine on my laptop, no issues with Windows Vista or 2GHZ CPU etc., laptop mouse, blah blah. Interesting fantasy theme, interesting match 3 variation. The puzzles are a bit annoying as I'm not really a puzzle person, but seem doable, especially with hints. I just did the first part so far and will probably try to finish the game, eventually. I notice the jigsaw helpfully locks pieces in place when you get them into the right spot which saves a lot of time. Actually had this game before. I really liked it, the storyline is doable but not boring and the graphics are just outstanding. I'm not real fond of the music but you can turn it off. I often just pipe in my own music through the headphones as I'm playing. It really is a unique way of playing, which is why I have all of their versions of this game. 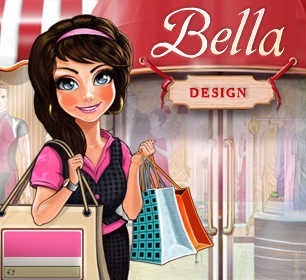 This game is also available on MyPlayCity.com if you miss it here. That site also has the first 2 games of the series as does MyRealGames.com. In addition, GameTop.com has the middle of the series. These are the only three site I currently trust for free games as Jenkat.com no longer offers true free games and FreeGamePick.com and ToomkyGames.com have change and are no longer trusted. Remember to watch for other software offers (currently none on the three trusted sites) as well as homepage hijacking and toolbars. In addition all three, by default, open you browser upon terminating the game but that is almost always circumventable with a little work. This game is also available on MyPlayCity.com if you miss it here. 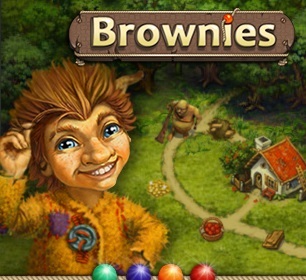 That site also has the first 2 games of the series as does MyRealGames.com. In addition, GameTop.com has the middle of the series. These are the only three site I currently trust for free games as Jenkat.com no longer offers true free games and FreeGamePick.com and ToomkyGames.com have change and are no longer trusted. Remember to watch for other software offers (currently none on the three trusted sites) as well as homepage hijacking and toolbars. In addition all three, by default, open you browser upon terminating the game but that is almost always circumventable with a little work. Just another option. Every time I download a game from here I get that the setup files are corrupted. What am I doing wrong? Thank you will try that next time. <b>Barbara Coogan</b> Thank you will try that next time. Overall, installed and plays quickly and efficiently on Win 8.1; I do prefer games that just extract and this one installs, so is a bit harder to clean out if you don't want to keep it. But I am liking it! (While hoping for another "adventure/puzzle" game soon, as we haven't had one in a while, unless it was last week when I was "across the pond". Have had a chance to play for a while, and I like it! Different from usual match 3, both in the game board (at least up to now, it's spider web layout) and the fact that sporadically there are different puzzles (HOG, rearranging picture, and a challenging web thing I finally got in 3.) The music isn't too annoying :). Two little suggestions: 1. I like games that reward you the faster you finish, though not to the point where you're frantic; that way there's a bit of strategy in how you choose to play. In this one, you're actually a tad penalized if you finish very quickly, as you have less chance to accumulate those "blast" points, unless I'm missing something. 2. Although I check "widescreen" it still plays in a smaller box surrounded by black border, not a real problem as the box is plenty big, but still... Overall, installed and plays quickly and efficiently on Win 8.1; I do prefer games that just extract and this one installs, so is a bit harder to clean out if you don't want to keep it. But I am liking it! (While hoping for another "adventure/puzzle" game soon, as we haven't had one in a while, unless it was last week when I was "across the pond". Don't worry Whiterabbit - we survive. First of all I am happy I could open the game after downloading and isntallation went without a problem. I like the difference of this game from other match 3 games but I am very challengend and don't have a good eye. I like the graphics and the story so far and played until the start of the blacksmith. The music is - as usual - nothing for me and I play without sound. Thank you very much for a new experience. Don't worry Whiterabbit - we survive. First of all I am happy I could open the game after downloading and isntallation went without a problem. I like the difference of this game from other match 3 games but I am very challengend and don't have a good eye. I like the graphics and the story so far and played until the start of the blacksmith. The music is - as usual - nothing for me and I play without sound. Thank you very much for a new experience. Since you changed webpages, I cannot get any games to download onto my computer. I get the message that it activated, but nothing happens. I don't get the installation page. So sad because I've missed out on some games that I really liked. Nice little game to spend one or another lost hour. Installed fine on a Windows 10 laptop. I have to look a different way at the spiderweb. I will keep this one. Same remark as earlier mentioned, a windowed mode should be fine. Thanks for this nice game, GOTD and Sugar games! Nice little game to spend one or another lost hour. Installed fine on a Windows 10 laptop. I have to look a different way at the spiderweb. I will keep this one. Same remark as earlier mentioned, a windowed mode should be fine. Thanks for this nice game, GOTD and Sugar games! Excellent variation on the usual match 3 game. Very challenging and fun. Even if you're not a match 3 fan, try this one, you might be surprised. Where's White Rabbit today? I look forward to the reviews to help make the decision about downloading. Hope all's well! I checked in at the usual time and there wasn't a giveaway, only the one with a limited number of activation codes (Doors). I'm usually given notice of what is going to be given away so that I can prepare a review, but when I checked at 8am this morning, there were three games in the listings, but none of them were marked for today. I waited around for a short while, and none were posted, so i posted a comment over in the main giveaway comments and in the forums to inform the community that there wasn't a giveaway today. I've been downloading mods for one of my favorite games all morning, and have only just discovered that there was a giveaway. It must have been posted late, which is very unusual. that said, The games were listed by a different member of the team than I'm used to. j'abandonne plusieurs que tuto j'essaye de un jeu , mais a fois j'ai un message d'erreur un telecharger apres dezzipe ; voila pourriez vous mettre fois, autrement merci l'avoir chaque. Vous avez quoi - Windows: 7, 8.1, 10? J'ai 8.1 et j'ai pas de probleme. <b>juliette munot</b> Vous avez quoi - Windows: 7, 8.1, 10? J'ai 8.1 et j'ai pas de probleme. Looks good, but exit doesn't exit the game. Had to close it with task manager. Windows 7. I didn't have any trouble with this on Windows Vista, went to menu and quit from there. <b>Andrea</b> I didn't have any trouble with this on Windows Vista, went to menu and quit from there. The spider web-shaped match-3 play makes a difference, it's a very nice game and excellent for that lost hour. I like to play the games in windowed mode but to my surprise this mode doesn't change anything, it carries on in full screen. The spider web-shaped match-3 play makes a difference, it's a very nice game and excellent for that lost hour. The only remark: I like to play the games in windowed mode but to my surprise this mode doesn't change anything, it carries on in full screen. It may be your screen resolution. Exit the game and set the properties to ignore high DPI scaling and see if that has an effect. Oddly, I found the windowed mode by clicking off FULL SCREEN, clicking on WIDE SCREEN, clicking off WIDE SCREEN. <b>irene</b> Oddly, I found the windowed mode by clicking off FULL SCREEN, clicking on WIDE SCREEN, clicking off WIDE SCREEN. Oddly, I found windowed mode by clicking off FULL SCREEN, clicking on WIDE SCREEN, then clicking off WIDE SCREEN. <b>irene</b> Oddly, I found windowed mode by clicking off FULL SCREEN, clicking on WIDE SCREEN, then clicking off WIDE SCREEN. This is a VERY interesting game - quite challenging for me. Even though I play a lot of Match-3 type games, this one had me really scratching my head for a while. If it hadn't been for the game showing me which moves to make (which can be turned off if you want), I never would have figured it out. Now that I understand the game, it's a little easier, but still a bit of a challenge for me; I don't know why. Maybe because it's not the usual linear/square/box-type arrangements that I'm so used to? I don't know. (I have the feeling that my husband, who is known in our family as a "packing genius" with superb spatial skills, would probably do super-well at this game.) Anyway, it's a very pleasant little game, with lovely graphics, fun goals (you "buy" stuff to fix up magical old buildings using the special rainbow dust you win by making the match-3 matches.) I find it very satisfying to play. The music's not bad, although I usually play all my games with the sound off so I can listen to the radio or TV while I play. All in all, I like this game a lot, and I thank GAOTD and Sugar Games for this sweet little challenge! I would like to add a few more comments, after having played the game some more. First off, the playing "board" is different in different chapters. For example, the spider web-type play in the first "chapters" were extremely hard for me, but the next group, which is more linear, isn't. I like the variety! I also wanted to say that I really like the sound effects. Even if I turn off the music, I enjoy those effects; they're not overpowering. Finally, I have to comment on one of the "extra" games that came up so far: it is a type of switch-the-pictures puzzle until the whole picture is put together properly. Well, this one was really really unusual and fun because the picture sections were all different sizes, yet when you move them around, they take on the size of the space you put them into, so they are constantly changing. I've never seen anything like that before! Anyway, it's back to the game for me now; I might be getting a bit addicted. <b>M. Aronson</b> I would like to add a few more comments, after having played the game some more. First off, the playing "board" is different in different chapters. For example, the spider web-type play in the first "chapters" were extremely hard for me, but the next group, which is more linear, isn't. I like the variety! I also wanted to say that I really like the sound effects. Even if I turn off the music, I enjoy those effects; they're not overpowering. Finally, I have to comment on one of the "extra" games that came up so far: it is a type of switch-the-pictures puzzle until the whole picture is put together properly. Well, this one was really really unusual and fun because the picture sections were all different sizes, yet when you move them around, they take on the size of the space you put them into, so they are constantly changing. I've never seen anything like that before! Anyway, it's back to the game for me now; I might be getting a bit addicted. Got an error when I tried to open the file. Says, "Failed to launch the program." Matthew Couldn't activate the game on Window 7. Error msg reads "Rainbow Web 3 Setup has stopped working". <b>Matthew</b> Couldn't activate the game on Window 7. Error msg reads "Rainbow Web 3 Setup has stopped working". I submitted the compressed package, and the unzipped files, to WinDefender, SuperAntiSpyware, Malwarebytes and EmsiSoft Emergency Kit: no problems detected. The game has been installed well on windows 10 standard x64. The game started and finished without problems, although "system requirements" say Windows 98/ME/2000/2003/XP/Vista/7/8. On the exit, the windows compatibility app didn't manifest itself. Thanks for this game, as usual, to Whiterabbit-uk (aka Stephen), to GGAOTD and to Sugar Games!!! I submitted the <b>compressed package</b>, and the unzipped files, to <b>WinDefender</b>, <b>SuperAntiSpyware</b>, <b>Malwarebytes</b> and <b>EmsiSoft Emergency Kit</b>: <b>no problems detected</b>. The game <b>has been installed well on windows 10 standard x64</b>. The game started and finished without problems, although "system requirements" say <b>Windows 98/ME/2000/2003/XP/Vista/7/8</b>. On the exit, the windows compatibility app didn't manifest itself. Thanks for this game, as usual, to Whiterabbit-uk (aka Stephen), to GGAOTD and to Sugar Games!!! I don't understand why game developers sometimes spend a huge amount of artistic effort on elaborate introductory cut scenes, and little or no thought on the core gameplay. The fairytale-style intro to Rainbow Web 3 is pleasing. And then the first puzzle is revealed. Oh dear. The variant of match-3 used here is exceptionally lame. Unappealing to the eye, very simple, and not remotely fun. I wish I hadn't spent time downloading and installing this game. Nice three in a row game in a very different way than usual. The music comes from the renaissance-period, but when you lower the volume it's nice to hear in the background. The graphics are good. A game worth to play often. Thanks GAOTD and Sugar Games. Nice three in a row game in a very different way than usual. The music comes from the renaissance-period, but when you lower the volume it's nice to hear in the background. The graphics are good. A game worth to play often. Thanks GAOTD and Sugar Games.